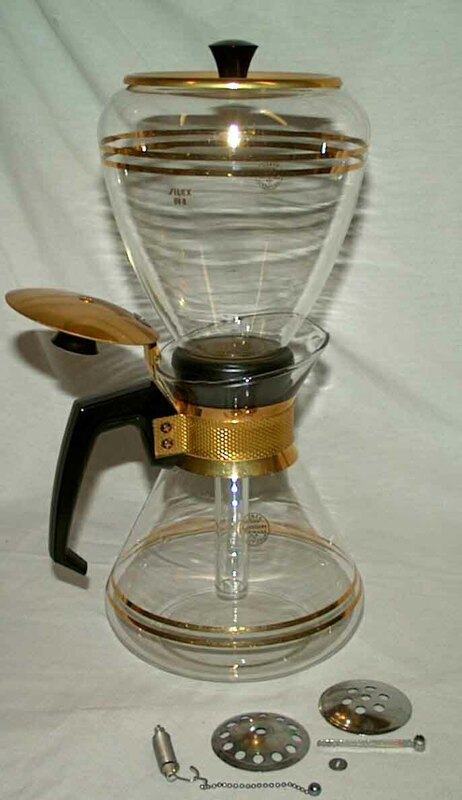 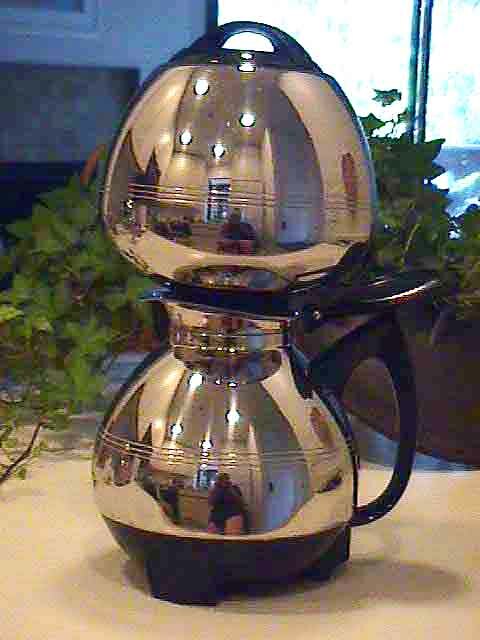 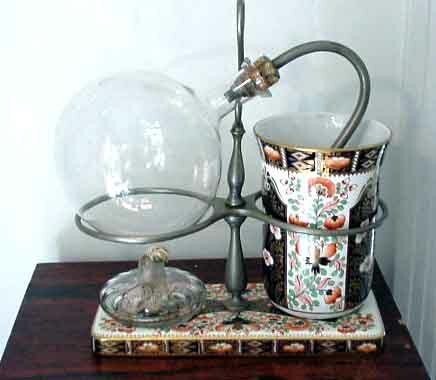 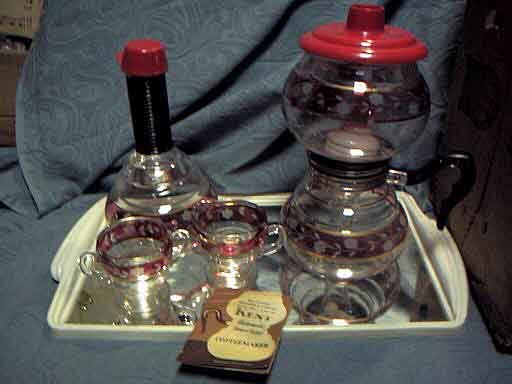 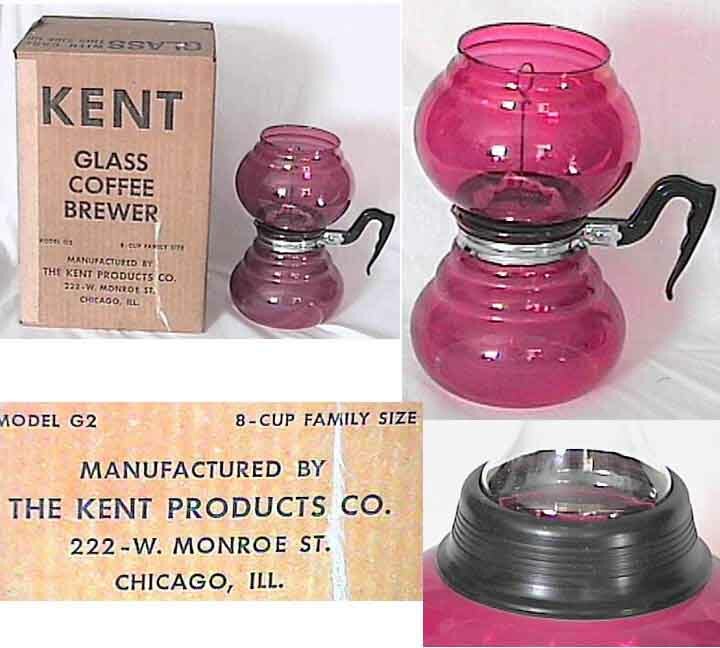 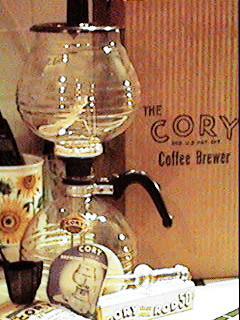 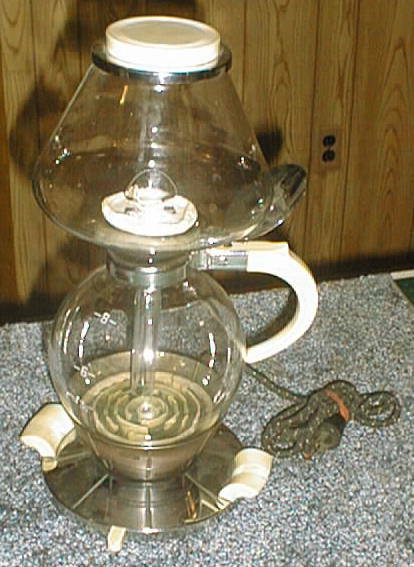 Vacuum coffee brewers came in various shapes, sizes and were made from glass or metal. 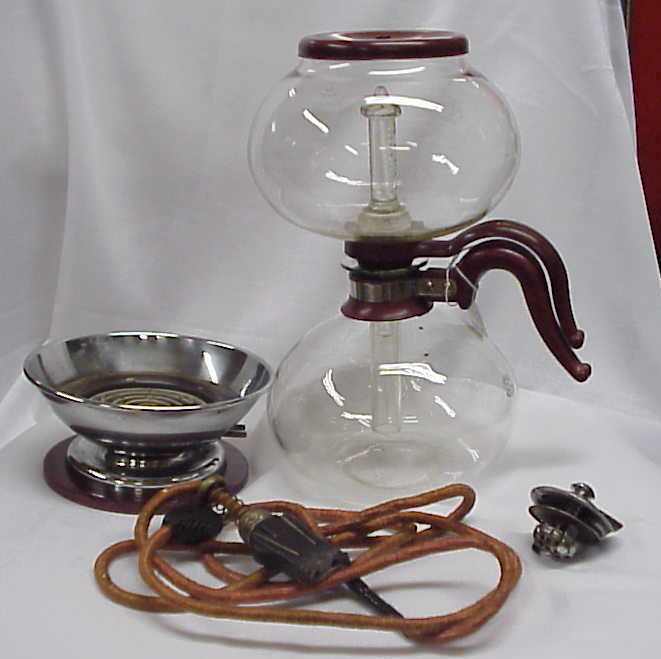 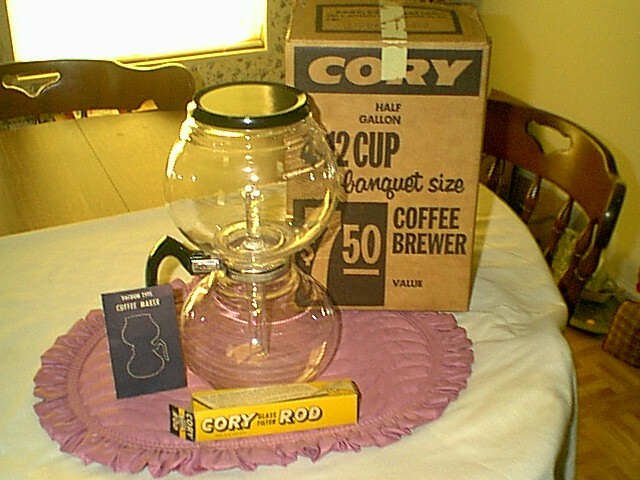 Vacuum coffee brewers were used extensively during the 1930s, '40s and '50s. 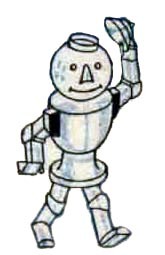 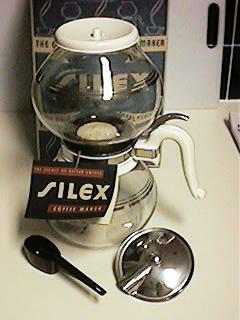 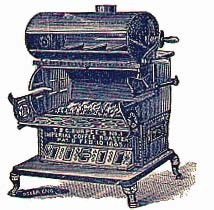 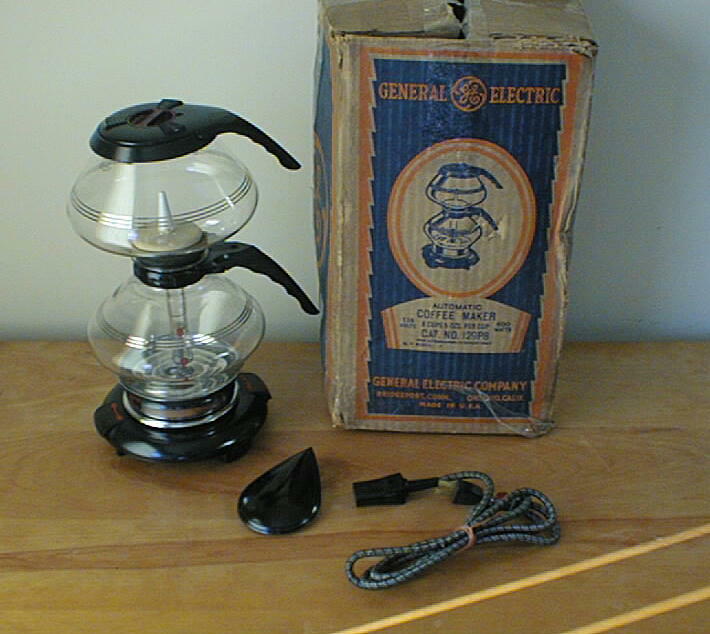 Silex was the first to market the stovetop brewer in the mid '20s, see Fry Silex. 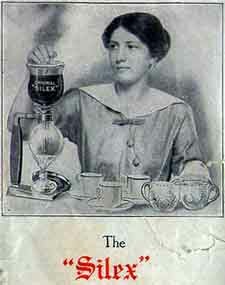 Silex became the largest producer of these vacuum brewers, see below. 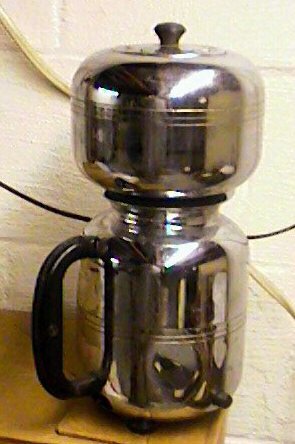 "First fully automatic coffee brewer"
Pictures, history, directions and scans from my Farberware dealers catalogue and brochure. 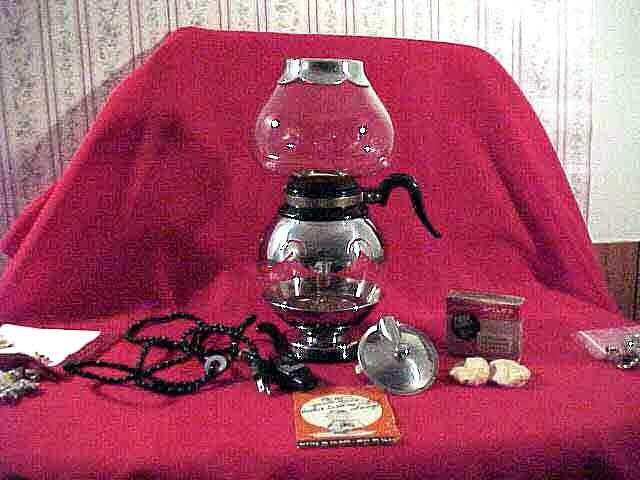 Click on above link to view. 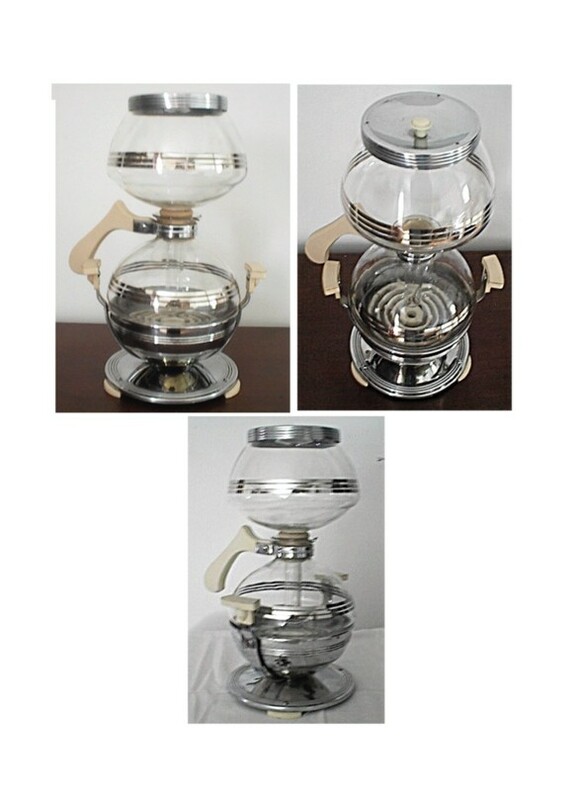 Various Vacuum Brewers in my collection. 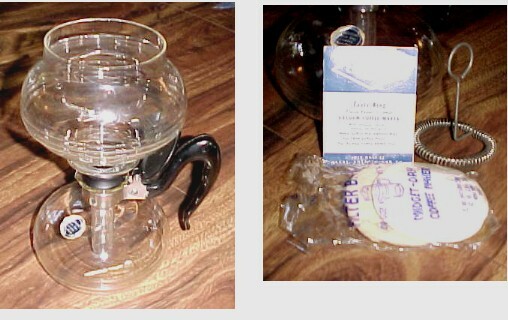 Click on thumbnail to enlarge.